The stem cells are usually extracted from the umbilical cord of the newborn infants, being the reason that they are capable of curing several health problems and problems related to blood disorders. The current major factor is that they have evolved to be treating serious immune disorders like the leukemia problems and other similar problems involving the WBC and the RBC. In this article, we will have a look at the various uses of stem cells for a healthy human immune system. 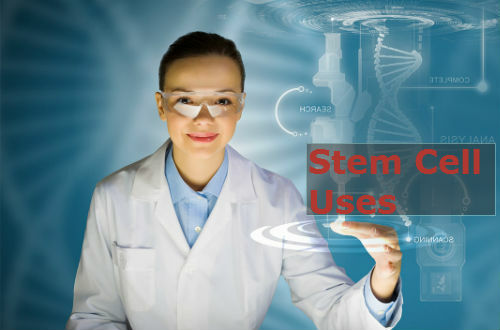 Before having a deep look into the various benefits that we acquire from the stem cells, it is important that we get an overview of the various types of stem cells and their functions which are into existence. The stem cells are group of cells which are found in all parts of the body and are capable of producing the new cells on their own. They are termed to be self productive in nature. These stem cells are classified as the adult stem cells, embryonic stem cells and Induced pluripotent stem cells. It has been researched for a long time and it has been revealed that these stem cells are very much safe and effective, provided only few of these stem cells fall under this category. It has been made clear that the diseases which can be cured using the stem cells are very much limited. Out of these treatments, the stem cells are effectively and completely used only in few diseases such as bone marrow transplantation’s, several blood related disorders and treating leukemia. When the treatments undertaken by a patient who is suffering from a particular syndrome based on the history of successful treatments for the same disease using stem cell, then you will get a feeling that nothing is lost. When trying to get treated with some other unproven stem cell treatments and found that there is no effect on the disease, then there is nothing to be lost to seek for a completely different treatment. As we all know, the stem cells are classified into three different categories and all of them are unique in performing their individual unique roles. Researches are being carried to create some tissue based cells to be used for healing purposes, considering the fact that these stem cells are mostly limited on performing the roles. Instead of having different types of stem cells for carrying out different functions, one single variant can be used for carrying out all the processes on a whole. These tissue specific stem cells are developed to tackle such problems to perform a variety of tasks in a single variant. Since each and every stem cells come under any one of the three major categories of the stem cells types, they are capable of only treating the diseases with which they are familiar with and they are also not capable of developing cells which is totally belonging to a different blood or cell tissue. There have been some thesis done to develop specialized cell types with the use of pluripotent stem cells or the induced pluripotent stem cells. Even though the pluripotent cells and the embryonic cells are better agents to be directly used for several disorders, they are used as per the postulates which are encapsulated to treat such issues. The stem cells will be more actively used, if the causes and the effects of a particular disease is clearly understood by the physician. Once there is enormous amount of data available about the disease, the way of treatment will become more easy and the treatment methods will be more effective leading to a faster recovery. The stem cells are widely used during the treatment of cancer since they act as agents preventing the immune system from getting attacked from the malignant tumor cells. They are mainly involved in the phase of the chemotherapy and also they are very much capable of destroying the toxic agents in the body. In some cases, some children are very much prone to the steroids and they do not respond against steroid both physically and mentally. In such cases these stem cells can be used effectively for graft and disease problems and the treatment has been named as Prochymal. The recent use of the stem cell for treating a new disease was established in Europe to treat the problems of the limbs in many patients and has got approval for treating the problems from European Medicine Agencies and the treatment is named as Holoclar. There has also been effective use of the stem cells in treating the neuro degeneration which involves various diseases including the Parkinson’s and the Alzheimer’s Disease and many preliminary levels of procedures for treating problems which are related to Multiple Sclerosis. It can be clearly estimated that these stem cells will be vastly used in the future for treating many syndromes related to the humans. Such being the scenario, which has now moved every researchers to move their focus totally on stem cells and globally many formulations are being carried out based on the stem cells which may help in fulfilling the promises. Let us all hope that a revolution takes place in the medical field and we get treatment easily for all diseases with the help of the stem cells.